This week we were thrilled to find 30 Day GMAT Success at number 2 bestsellers in the Kindle rankings for GMAT books, only behind The GMAT Uncovered by Manhattan GMAT and in front of the Official Guide! 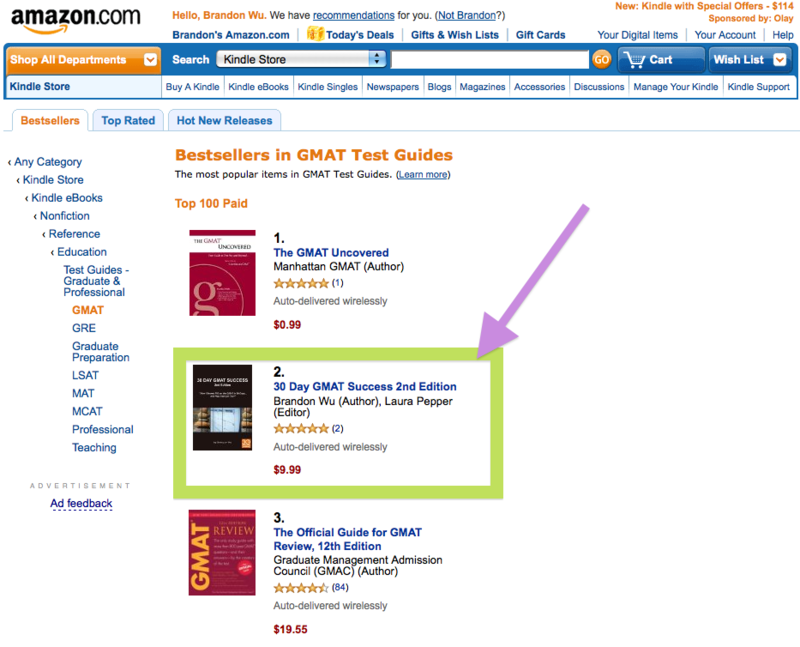 Incidentally that puts 30 Day GMAT Success at number one in the above $.99 category! If you need any more convincing that having 30 Day GMAT Success in eBook or PDF format is great, check out this post.